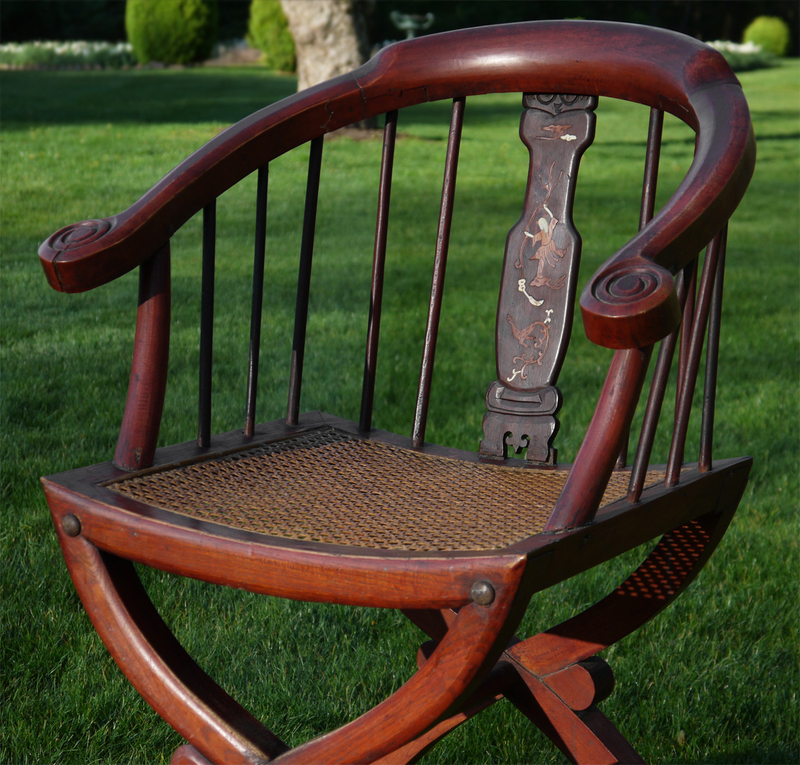 Offering a 19th century Asian hand carved rosewood and burled exotic wood chair. 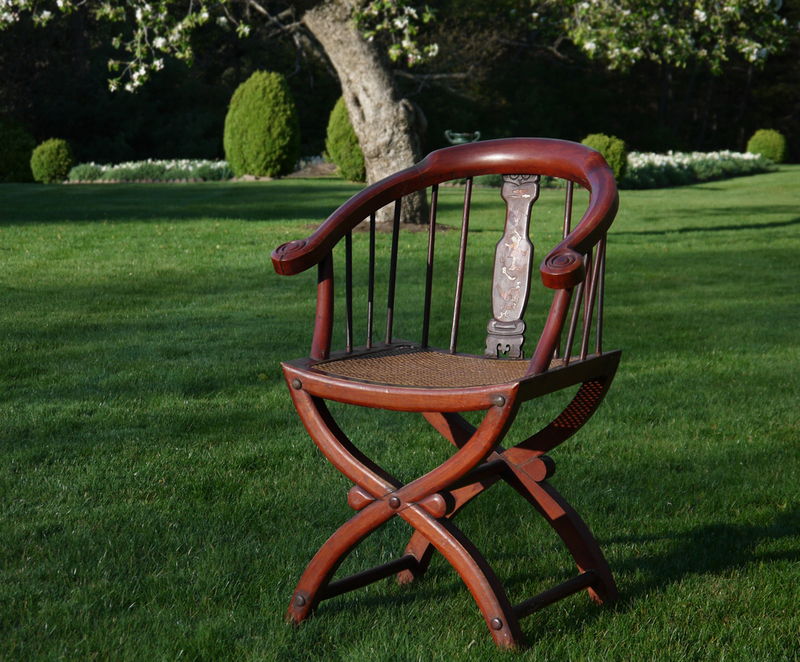 The construction certainly points to the mid 19th century, as the chair was constructed with wooden pegs, noticeable on the joining of the arms and back. There are nails, which were likely added when the chair was fitted with a replacement caned seat. The nails appear to be of early 20th century vintage. Given it’s age, there are a couple splits in the wood, which do not impact it’s function. A lovely chair with plenty of antique charm. Strong and complete!The Ivory and exotic wood inlays are finely detailed and show a figure climbing a tree limb. There appears to be an older repair to the head of the figure, which isn’t Ivory, but is very presentable and blends in rather well. One small area of a tree branch detail also appears to have an older repair present.The overall shape and fine hand-carved details are unique and very beautiful. It would certainly give a warm handmade antique presence to any decor. A rare 19th century piece of Chinese furniture. It has a bespoke feel. It’s a comfortable chair to sit in, but is most definitely a decorative piece and mean’t to be admired. Please feel free to be in contact for more details. Local pickup available by appointment. Shipping within the US by UPS. Please be in contact for shipping rates. International shipping available. Please inquire about shipping rate. Buyer responsible for shipping & handling.